For a regular search in editor you can use the button on the ribbon or press Ctrl+F, and to continue: F3, Shift+F3. For search and replace use keys: Ctrl+H or Ctrl+R. 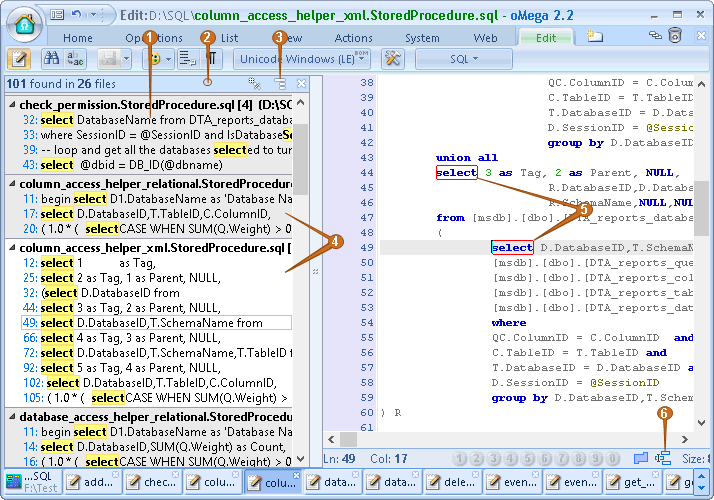 the current file is highlighted. Group of buttons for automatic or fixed highlighting of words.